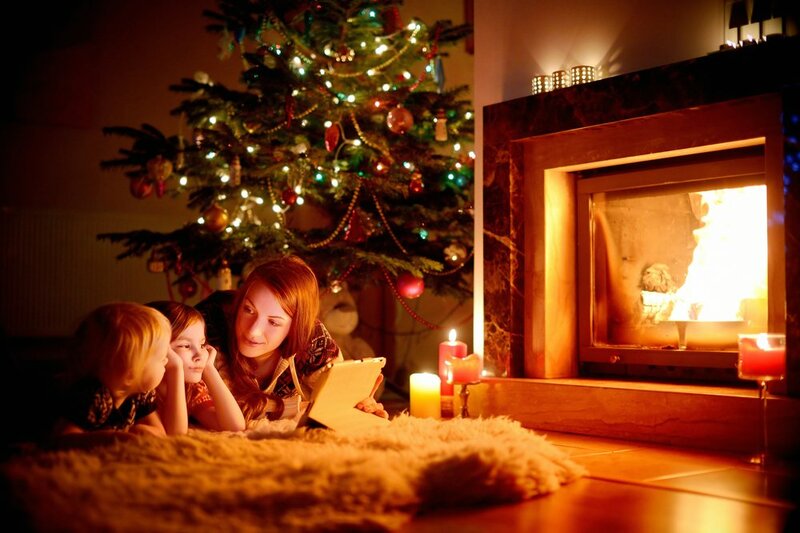 You are here: Home / Parenting / Infants & Toddlers / You Won’t See This on Pinterest. 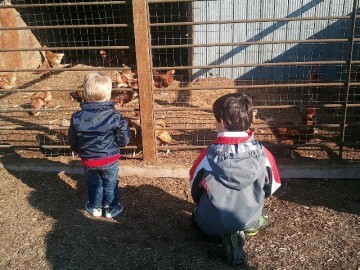 One thing I respect about toddlers is their unwillingness to simply go along with something you think might be fun. I get it. I don’t like the outdoors either, especially not the rural outdoors. The wifi is terrible. But all the other parents on Facebook have been posting beautiful, Pinterest-worthy photos of their kids at pumpkin patches and those kids are dressed well and their hair is done and they are smiling and seem to be enjoying themselves. 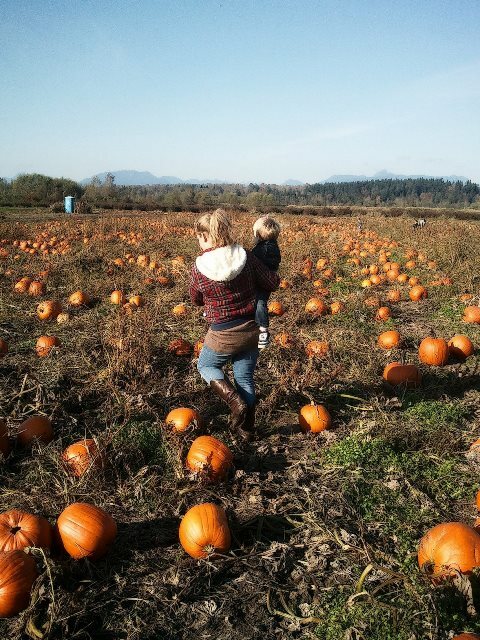 Nobody is crying, or lobbing pumpkins like grenades off the hay-ride, or wearing an expression of utter despair. 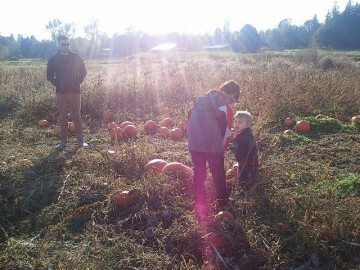 We went to the pumpkin patch because that’s what you do with kids in October. 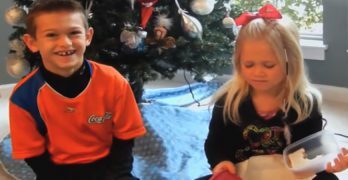 I now suspect those smiling kids were drugged. 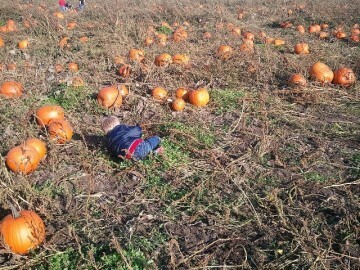 But I am determined to post my own series of pumpkin patch photos, so here they are. Note how everyone else is having a pleasant time. 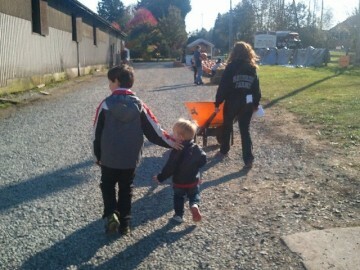 Nephew escorts Toddler toward the pumpkins. 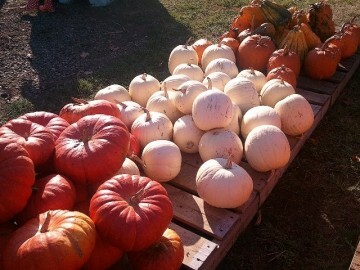 But that didn’t stop me from wanting one of these fancy gourds. Like, what is this even? 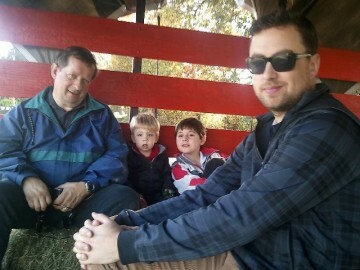 Hay-rides are fun! For most people. The ground is uneven and Toddler’s feet are unstable. 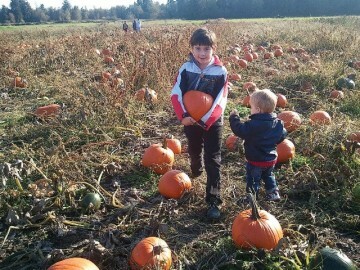 Nephew picks a pumpkin for Toddler. 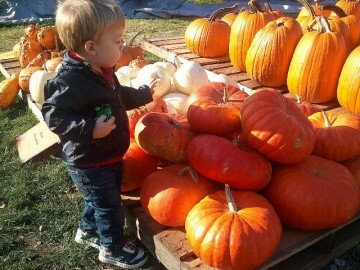 Toddler is not easily duped; wants the pumpkin Nephew chose because obviously it is better. 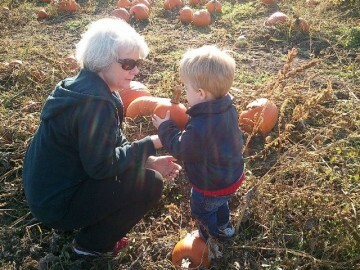 Grandma shows Toddler how to pick a pumpkin. Moments later the lobbing began. Oh, Emily. I have BEEN THERE. My oldest girl pretty much was grumpy all the time. I remember taking her to Starbucks, buying her a hot chocolate and cookie, thinking we’d have a lovely little date. But no. She was just a turd.Grumpy, for no good reason. 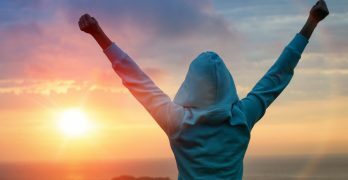 I said the words, “We’d be having a lot of fun right now if it weren’t for YOU!” in my mind so many times during those years. 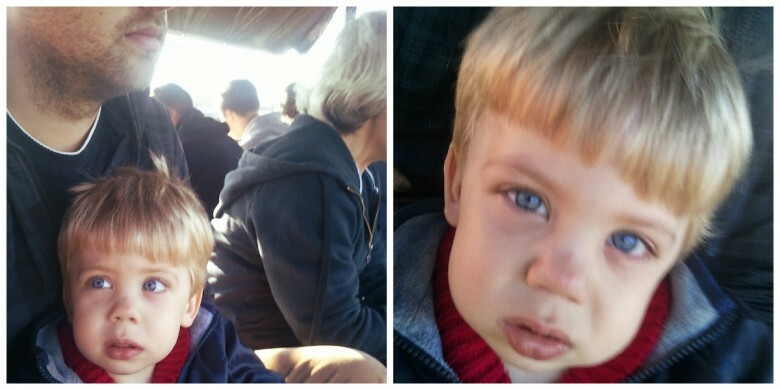 Toddlers can just kind of be miserable for no reason. Sorry your expectations were dashed. Pinterest can kiss mine.